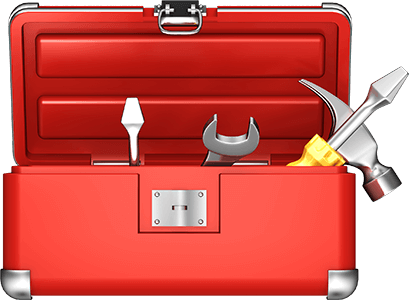 If you haven’t signed up to receive my absolutely free WordPress toolbox resource (where I detail all the items I use in my WordPress toolbox), I encourage you to sign up by clicking on this link. There are tons of Cyber Monday deals available, but I wanted to list out some specific ones that relate to items inside of my WordPress toolbox. These are items that I use on a regular basis, and they just happen to have some really awesome sales going on right now for Cyber Monday! For the majority of these items, these sales only come around once a year, so time is of the essence! Don’t delay and make sure you pick up these items while the deals are still here! OptinMonster is having an incredible sale – 35% off through Monday night 11:59 EST! You can use the code BF2014 to get 35% off your order, which includes new purchases and upgrades. Click here to take advantage of this OptinMonster deal! Soliloquy is also having an awesome sale – 35% off through Monday night 11:59 EST! You can use the code BF2014 to get 35% off your order, which includes new purchases and upgrades. Click here to take advantage of this Soliloquy deal! Bluehost is offering a pretty sweet deal for Cyber Monday (and Monday only) – hosting for only $2.95/month! That’s nearly 25% off an already really good price. You don’t need to use a code to get this deal – just click on the link to have it applied. Click here to take advantage of this Bluehost deal! Soliloquy is also having the same sale as Soliloquy – 35% off through Monday night 11:59 EST! You can use the code BF2014 to get 35% off your order, which includes new purchases and upgrades. Click here to take advantage of this Envira Gallery deal! StudioPress is having a ridiculous sale – all of their themes for only $399.95 You literally get thousands of dollars worth of items for a fraction of the cost, including the awesome Genesis framework. No coupon is necessary, but the offer is only valid on Cyber Monday. Click here to take advantage of this StudioPress deal! WP Migrate DB Pro is an awesome WordPress backup solution, and they are having a sweet sale – 20% off your purchases through Monday 11:59 EST! Use the code BFCM2014 to get 20% off your purchase. Click here to take advantage of this WP Migrate DB Pro deal! MaxCDN is a content delivery network that can supercharge your website performance, and they are having a sweet sale – 25% off CDN plans through Monday 11:59 EST! There is no code required for this sale – just click on the link to have it apply. Click here to take advantage of this MaxCDN deal! If any other deals come available from products that I recommend in my WordPress toolbox, I’ll make sure to update this post with the coupons. I wish you all an awesome Cyber Monday and hope you can take advantage of some sick deals on awesome WordPress products and resources!